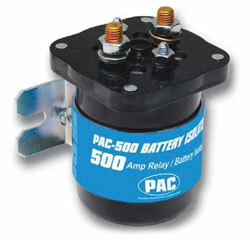 The PAC500 can be used as a battery isolator or power relay and is very easy to install. There are a few simple connections to be made. The PAC500 can be triggered using a manual on/off push-button, toggle switch, vehicle ignition wire or even the power antenna/amplifier trigger wire on a car stereo.